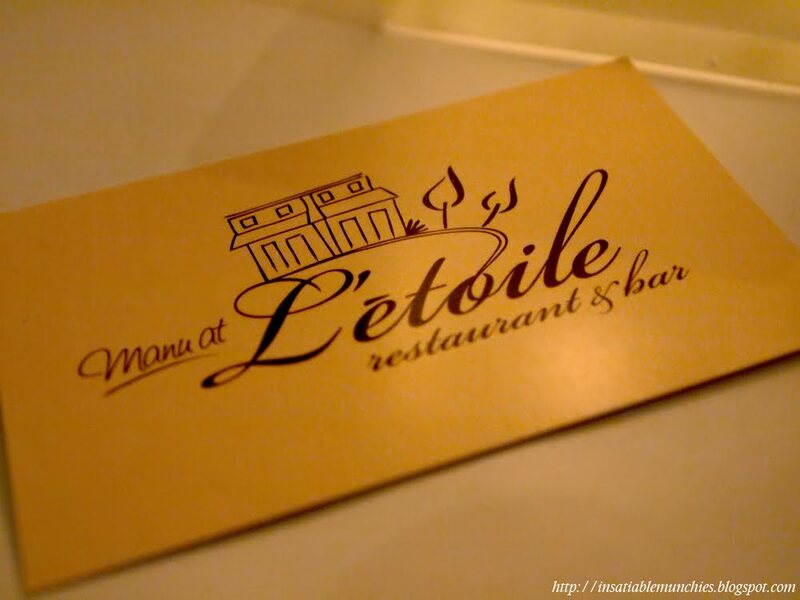 Sean brought me to L’etoile for my birthday. So excited!! We spent the whole day trying to figure out what we were going to order, and upon arrival, we had no clue. We wanted to try everything! 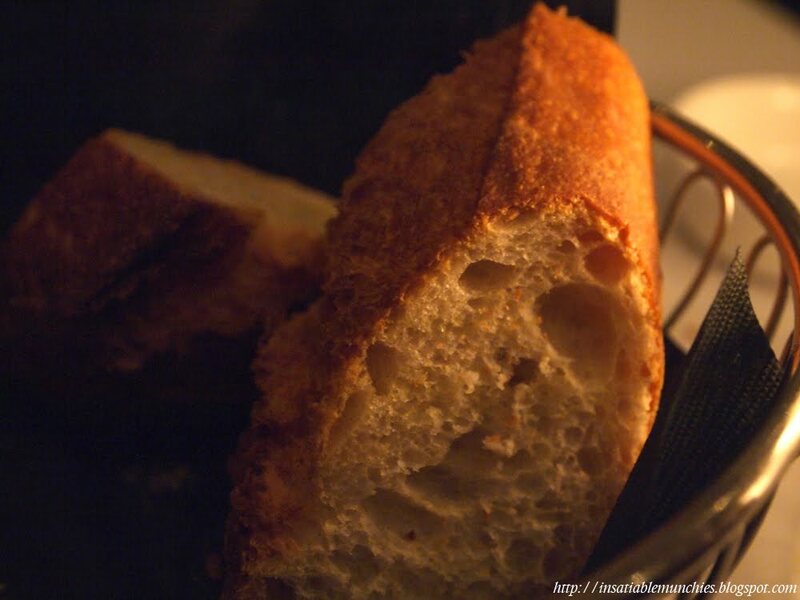 Before the Entrées arrived, there was a bread basket. Now I’m not much of a fan of bread (but I do like a good sourdough on occasion) but this baguette was good. …and that was it really. It was just really good, chewy, crusty bread, and I thought it was worth a mention. So yes, on with the Entrées. 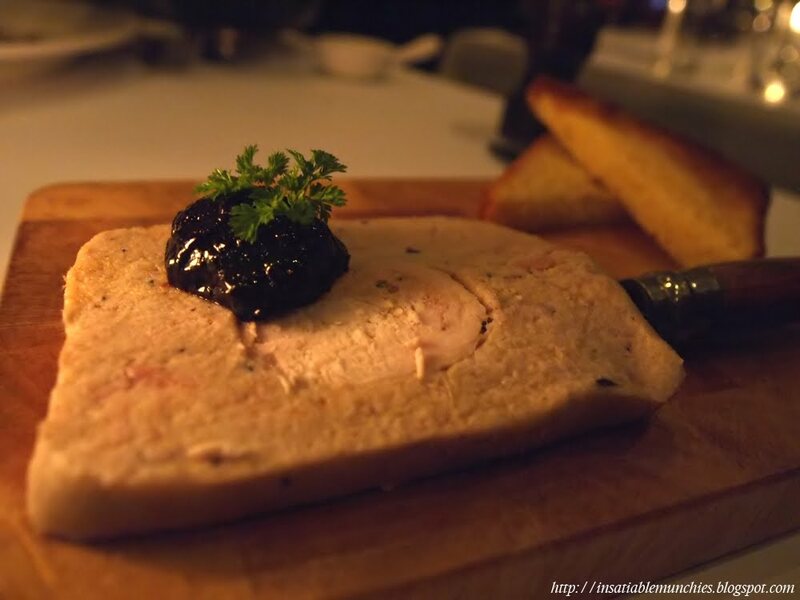 I had the terrine of rabbit rillettes and fois gras, with prune jam and toasted brioche. 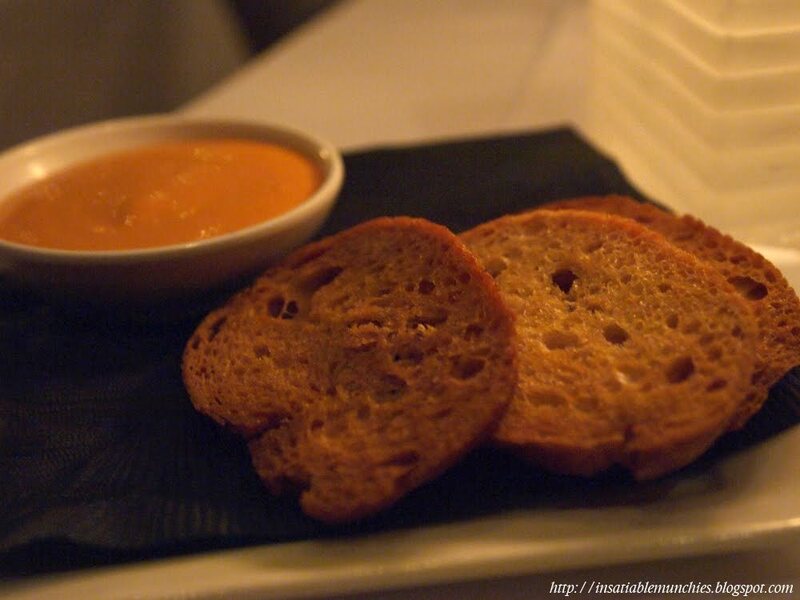 The terrine was incredibly creamy and light, and went well with the soft brioche. The prune jam was a dark seduction that added some bittersweet notes through each bite. At the risk of sounding incredibly plebeian though, the texture was incredibly reminiscent of tuna spread. I had no idea why, but I was reminded of it. Still good though, but not as good as the quail. 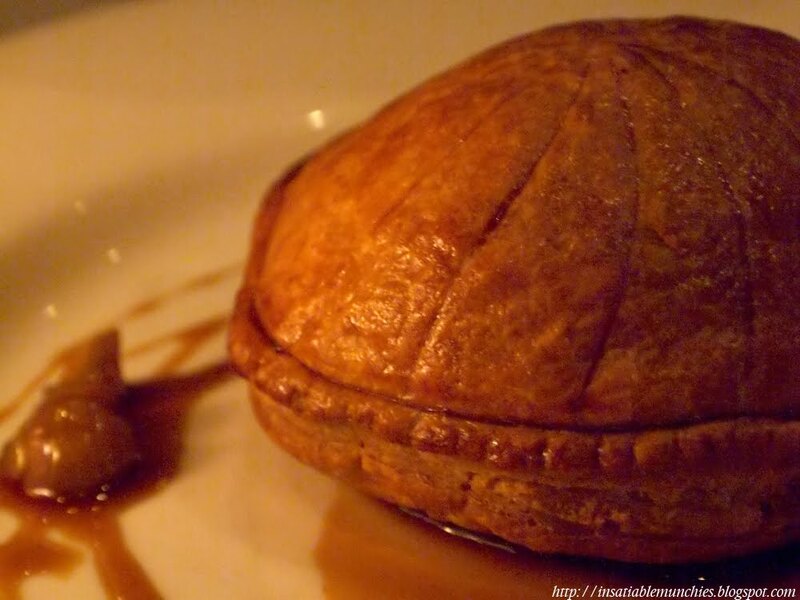 Sean had the pithiviers of quail on a bed of savoy cabbage and speck, drizzled with madiera and roasted chestnut jus. This was the god of everything you can call pies. The crust was a flaky dream, and the filling…oh the filling! Juicy pieces of quail, mingling with the sweet/salty jus…and cabbage had never tasted so good. This one is a must-try. 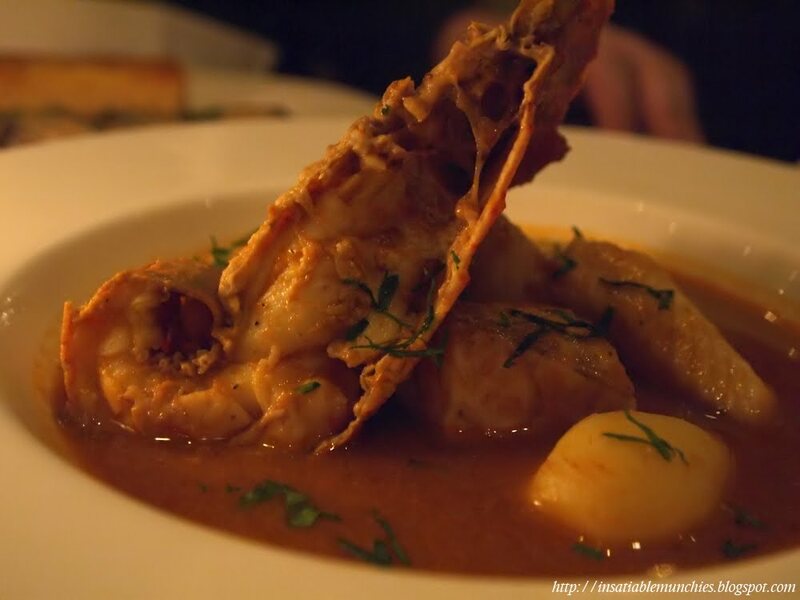 I had the bouillabaisse, and it was served with croutons and rouille. 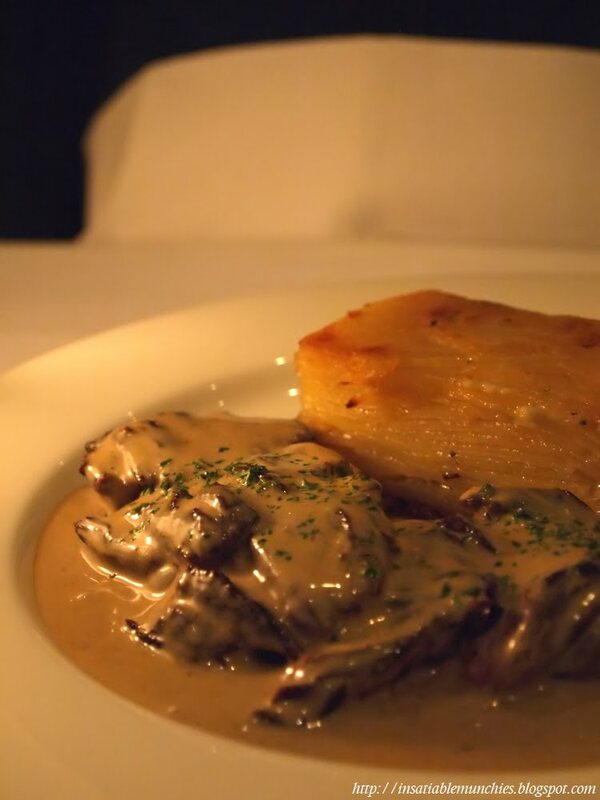 The rouille seemed like a garlic and capsicum flavoured emulsion, and went really well with the aftertaste of the stew lingering in my mouth. Not crazy about the croutons though – I would’ve been much happier with more baguette. 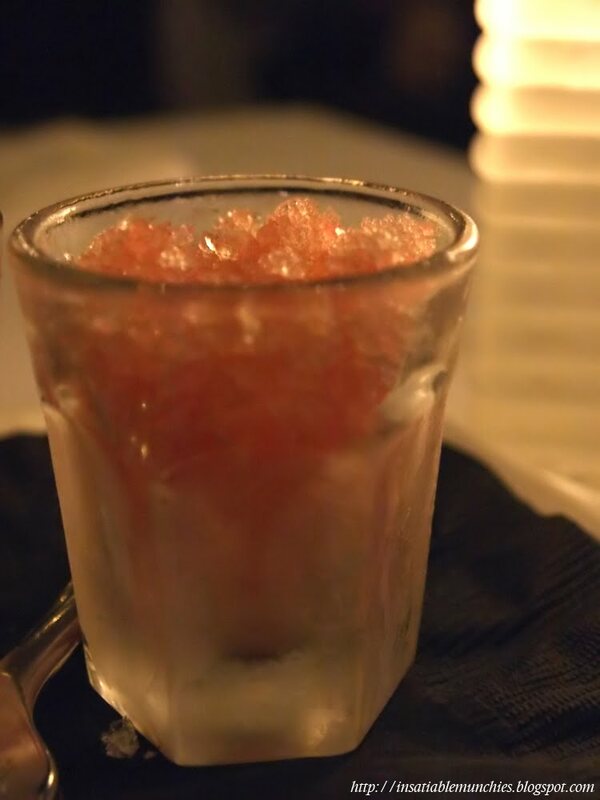 Just after the main, we were served a watermelon granita with champagne as a little before dessert sweetener. It was alright, although I think someone ODed on the sugar syrup. 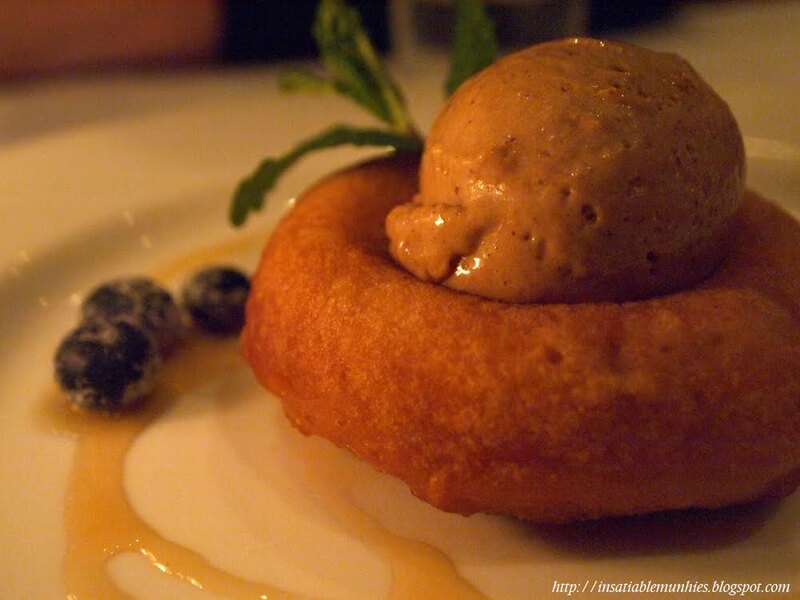 And finally, for dessert we had a rum raisin baba with a scoop of prune and armagnac ice cream. I really liked the prune and armagnac ice cream, and the whole thing just reminded me of a christmas pudding. The baba was alright, but the ice cream was the memorable bit of the dish. It was neither overpowering nor cloyingly sweet, and was light and delicate. The sugared blueberries on the side didn’t make much sense to me though, it didn’t seem to contribute very much to the dish.